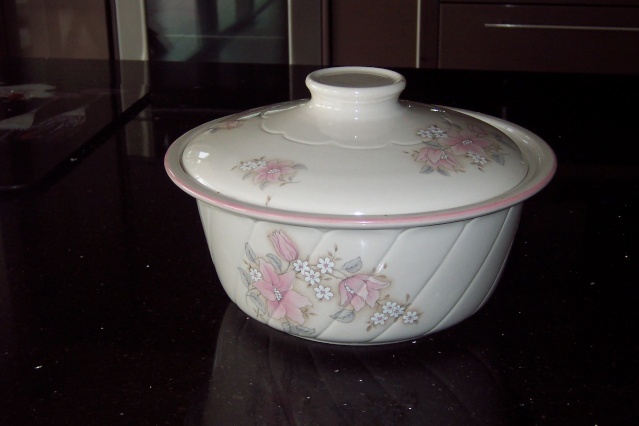 How big is this casserole? Thanks nana2x2. 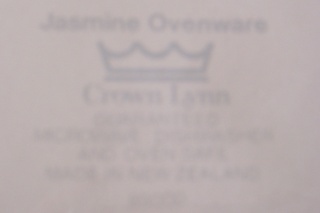 Most interesting as I have the Price List and Catalogue with Jasmine Flower and the Ovenware has the same number as the rest of the set d52500. 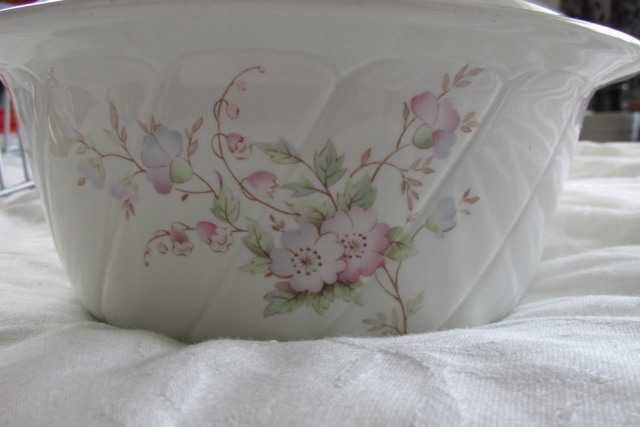 What number does your Spring Fair Casserole have on it? 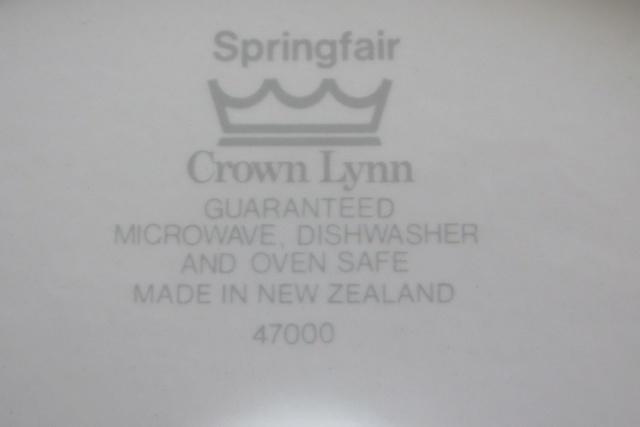 Springfair is 47000, I have 3 cookware pieces from the catalogue you shared, all have the same number. 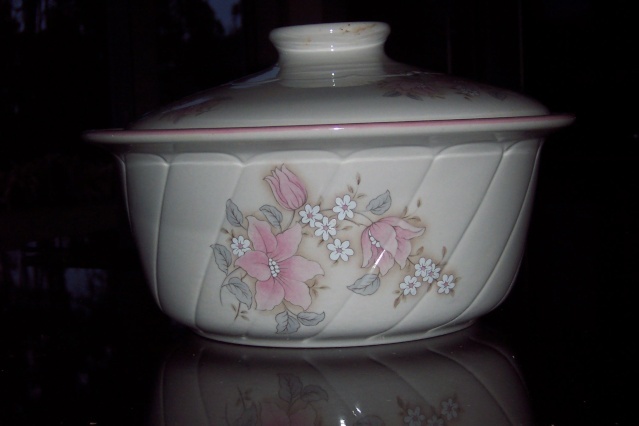 Query - does Jasmine Ovenware and Jasmine flower have different patterns and is this why the numbers are different? Did C/L change the name to differentiate between them? 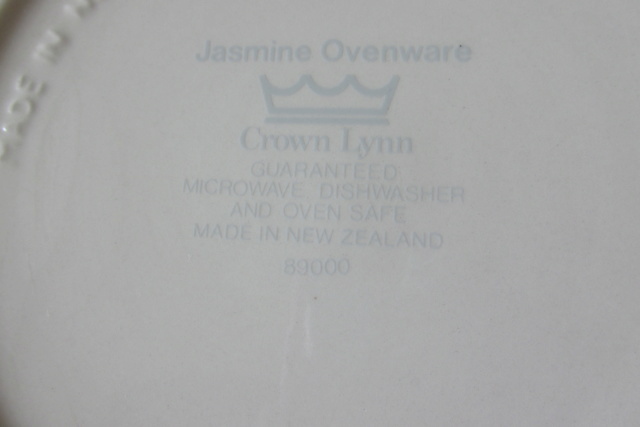 I have no idea why they have a different number on the Jasmine Ovenware, however I have checked Google and there are other casseroles with the number 89000, so I will put the name and number into the Gallery. Thanks for picking this up nana as I would never have done so. You are welcome. I love this site and the database. I love that someone is restoring information. C/L were such prolific producers and with records lost the history may have gone too. 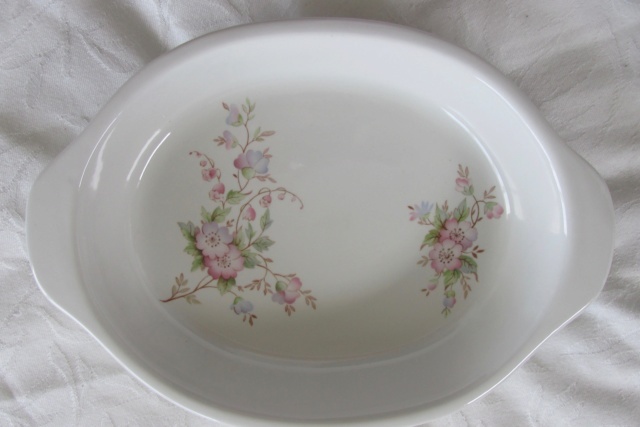 Like many people I have connections with C/L indirectly. Someone said (on this site), collectively we have the info on patterns and shapes, if we work together we will get there.